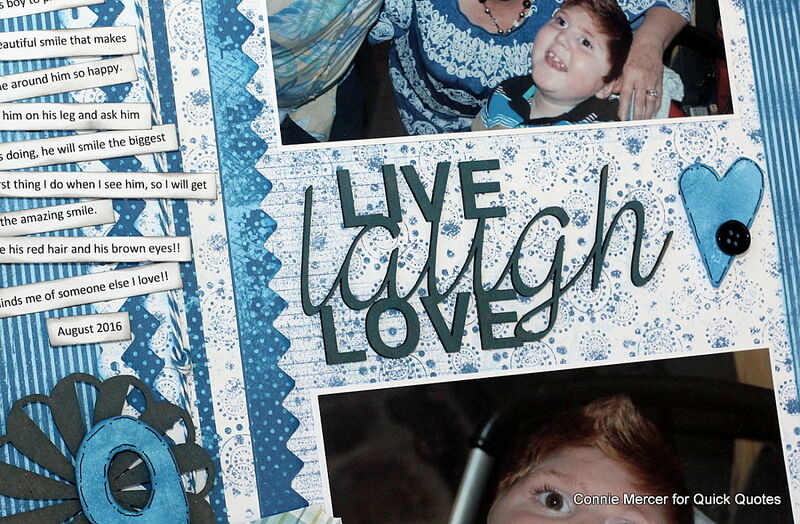 Hi, Connie here with a scrapbook page using the new Mulberry collection by Quick Quotes. I love the blue tones mixed with purple and gold. This page was created with two sheets of pattern paper out of the Mulberry collection. Trim 103 to 7" wide and 11" long. That is the mat for the photos. The other piece is what the borders will be cut out of. Cut four strips of paper 1 1/2" wide and 12" long. 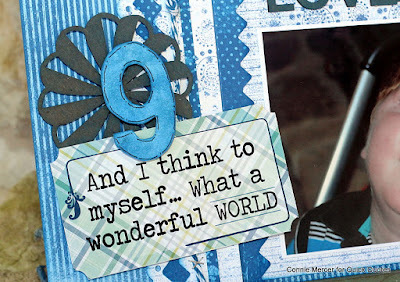 Use border punches and punch out four borders from the strips of paper. 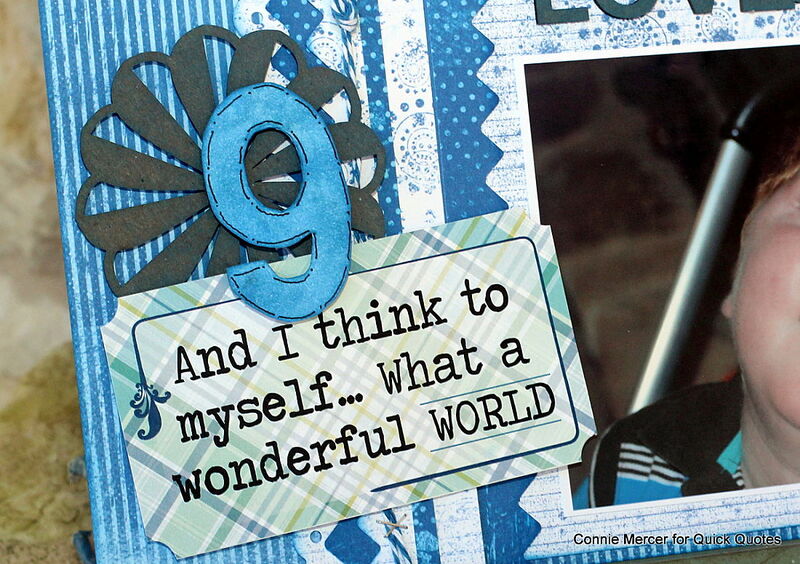 Mat photos with white cardstock. 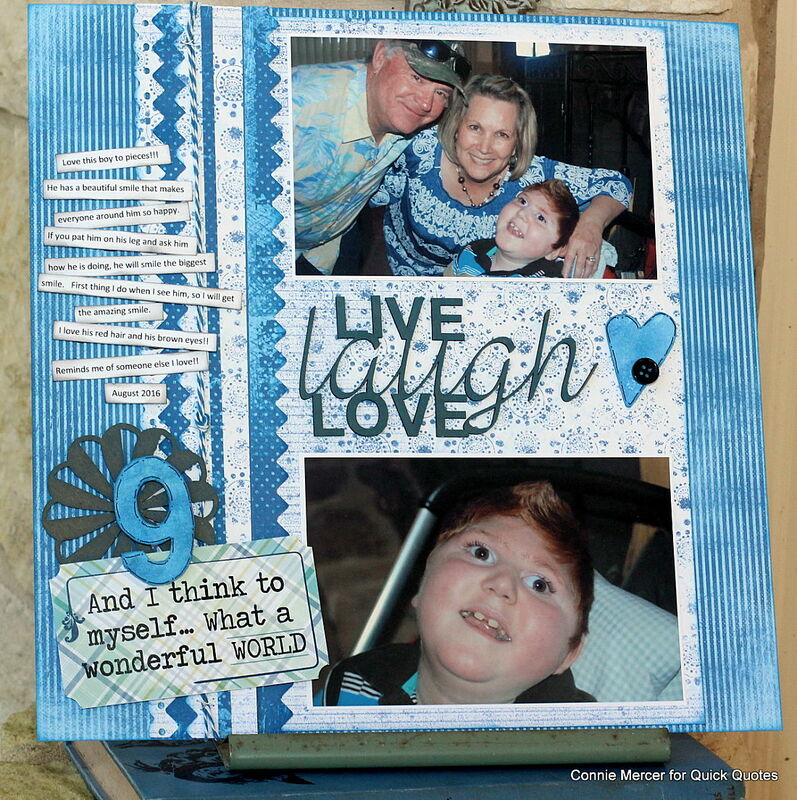 Shade photo mat and borders with PowderPuff Chalk Ink in Blue Jeans. Adhere the photo mat to the 101 (blue strip). Then adhere the borders to the side of the mat. Use PowderPuff Chalk Ink Blue Jeans to add color to the chipboard title. Stamp embellishment (number and heart in Blue Jeans and cut them out. 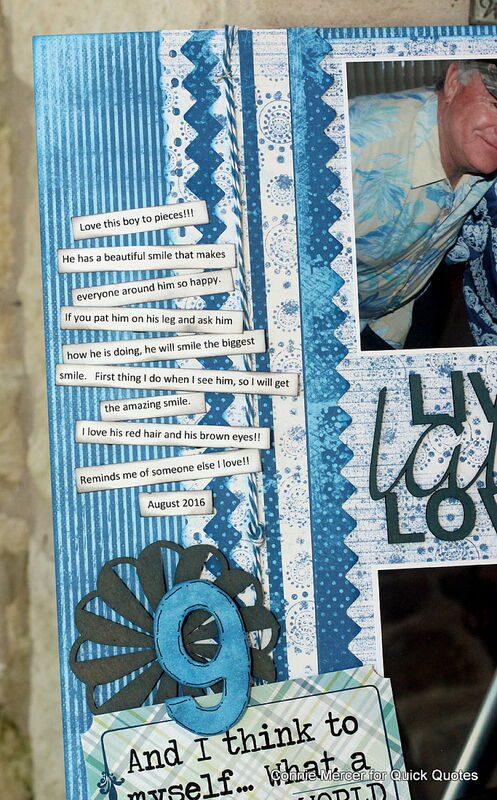 All of the elements have been created and are ready to be adhered to the page. Journal along the border strips. Chipboard title shaded with PowderPuff Chalk ink. Stamping done with the PowderPuff Chalk Ink and cut out. Punched out borders, shaded and adhered to page. Journal area. PowderPuff Chalk Inks: Midnight Confessions and Blue Jeans. 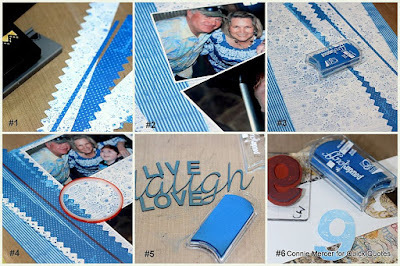 Other Products: Want2Scrap, Divine Twine, Button.